First of all, shut up. Just shut up. My dog Huckleberry hopped into a lake before he really knew how to swim and he got stuck under the pier and wouldn’t come out so I had to jump in and save him and when I got back I had to borrow some clothes from my dad. 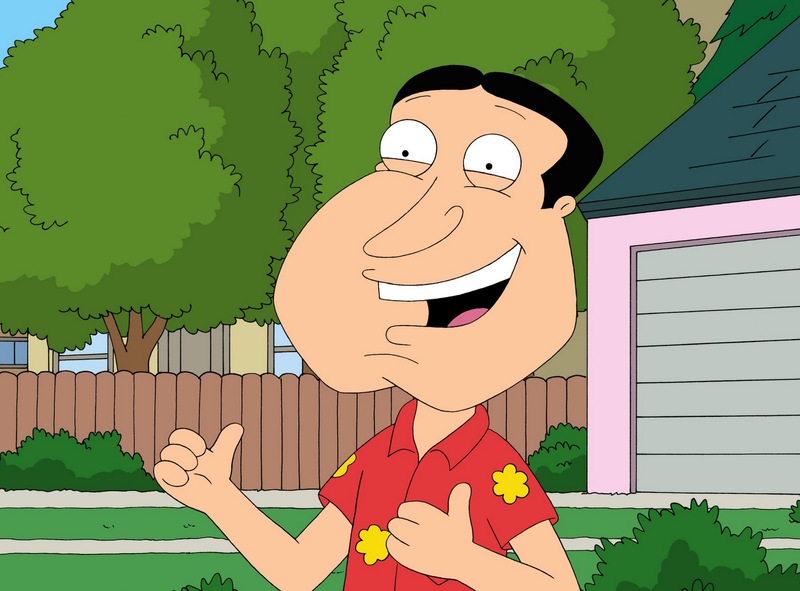 I just happened to pick an outfit that made me look like Glen Quagmire, Giggity. Despite that I don’t look that stupid…Yeah okay I do look that stupid. Giggity-Giggity. Anyway, in response to your letter I have heard of the graphic novel and the first time I read it was part of a weekly graphic novel book club I’m part of, and the leader of the group wanted us to originally read it during the week of Easter. That should say everything right there. 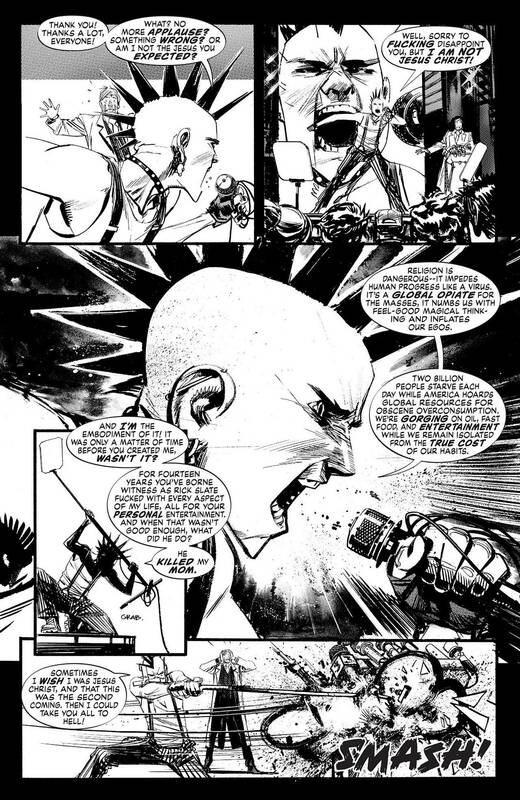 Punk Rock Jesus is everything a god fearing Christian will either despise or be frightened of and not just because the author and illustrator Sean Murphy is an open and unapologetic atheist. The story is about a corporation that decides to, using the “shroud of Turin,” the last garment supposedly worn by Christ currently/supposedly in possession by the Vatican, clone Jesus and show his life to the world through a reality television program. Wait. It gets better. The company follows the rhetoric even further by hosting auditions for a virgin, a young woman named Gwen, to birth the baby and raise him under cameras and constant audience supervision. Despite how, I think “wacky” is an appropriate adjective, that originally sounds, Murphy is able to make the story work. Using science fiction he is able through the narrative to ask the real question posed by the work: if Jesus returned, would he be what we wanted him to be? Chris is born into an international controversy, but before he’s even born the head of the circus, a man by the name of Rick Slate, has prearranged his physical features. In one passage the woman overseeing the cloning process argues against giving Chris Blue eyes. Despite what many say the man known as Jesus Christ was born in the Middle East, the man would have had dark skin and brown eyes. 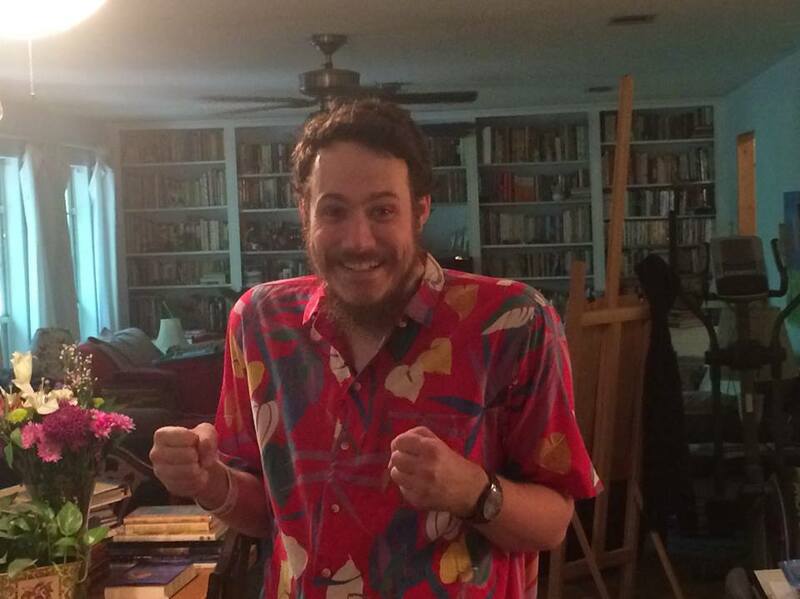 Rick Slate, in order to pacify his Western White viewer’s demands, orders Dr. Sarah Epstein to lighten the skin tone and change the eyes to blue. This is just one of the many ways in Slate micromanages the savior that is mass produced and manipulated over the course of his life. By the way if you can’t read the image you can click on them and make them bigger. At this point the most obvious critique of the graphic novel is that it sounds like the typical attack atheists would make against organized religion. Murphy does make the typical attacks revealing many Christians to be xenophobes and close minded idiots while academics tend to be more morally grounded, and I won’t lie there are plenty of times where it’s obvious Murphy is using this book to make a few pot shots. But despite this, Murphy’s graphic novel is successful in the way it attacks the contemporary institution of faith for the way it breeds exceptional devotion. 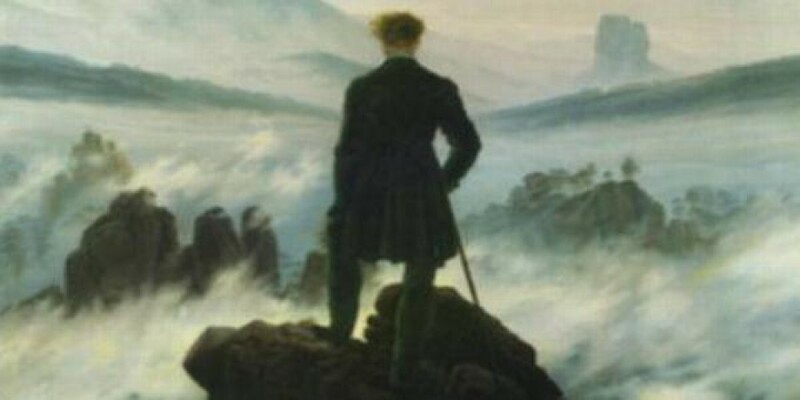 As stated before the central argument of the text is if Jesus returned to our contemporary society, would the expectation of his supposed followers match up to the man that exists in their religious imagination. In the case of Chris, this just doesn’t work out and the young man, driven by alienation from society, intense loneliness, the death of his mother following a long spiral of alcoholism and mental disorder, rejects his supposed destiny and digs into the world of scientific inquiry and punk Rock eventually joining up with a punk rock band by the name of The Flak Jackets. Chris becomes the very antithesis of the vision of Christ to the world, spreading a secular message and warning of obsessive religious devotion. There are few moments so truly terrifying and hilarious all at once, and this reprint hardly does it justice. More important than Chris in the novel is the story of his body guard a former IRA terrorist by the name of Thomas. The graphic novel begins with the man as a boy, which sounds like the start of a folk song actually if you read it out loud, watching his family being butchered by what he believes to be the Protestant armies of England. His uncle arrives and inducts him into the Irish Republican Army and Thomas is honed into a lethal weapon until, like Chris, he rejects his destiny and swears an oath to god that he will never take another life. Thomas becomes a guardian to Chris believing that Chris really is the body and blood and soul of Christ and therein lays the tragedy of the story as we watch him relentlessly try to defend Chris from a world that idolizes him or else tries to eradicate him. Thomas’s religious devotion comes from a tragic sense of self damaged by deception. Murphy uses Thomas to create in this world, a sense of hope for the future of mankind, for while Thomas is a Christian and a murderer, he is the best society has to offer in terms of moral fortitude. 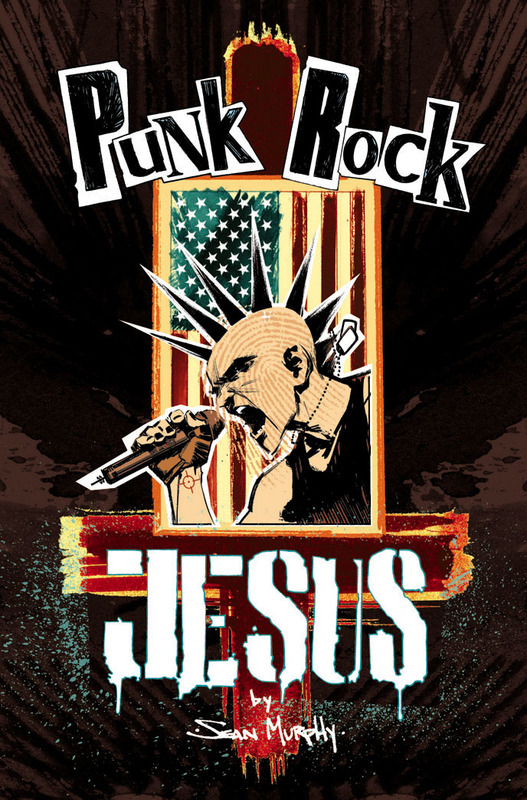 There are plenty of reasons to read Punk Rock Jesus B—-, and not just because you’re an atheist in need of validation. For starters there’s a bio-engineered polar bear named Cola that plays with little Chris, there are plenty of opportunities to see the titles of books that one could add to a reading list, there’s the chance to learn about how the IRA trained their soldiers and to understand why they became what they did, there’s plenty of chances to learn about historical figures view on Christianity, the science fiction within the novel is a chance to discuss the pitfalls and moral responsibility of scientists as we enter a new age of technology, and if nothing else the book is a chance to observe the intersection of faith and capitalism which lies at the heart of the book. The reason for the entire affair is to score ratings which in turn fuel by a multi-billion dollar corporation that seeks to profit off of people’s desire to see Jesus in their lives. And maybe that’s why I keep returning to the same damn point. We’re living in a new age where possibilities for scientists have never been so open and so while the plot of Punk Rock Jesus at first appears outlandish and ridiculous, it’s important to remember how many people are devoutly religious and more than happy enjoying the benefits of science while simultaneously negating much of its research. Am I arguing that Christians would be in favor of bringing Jesus into this world through cloning? But, the religious evangelical movement in this country has become more and more vocal in our public discourse and so the question has to be asked, as we progress and evolve as a species, are the old fears of the infancy of our species going to continue to be relevant to our society? 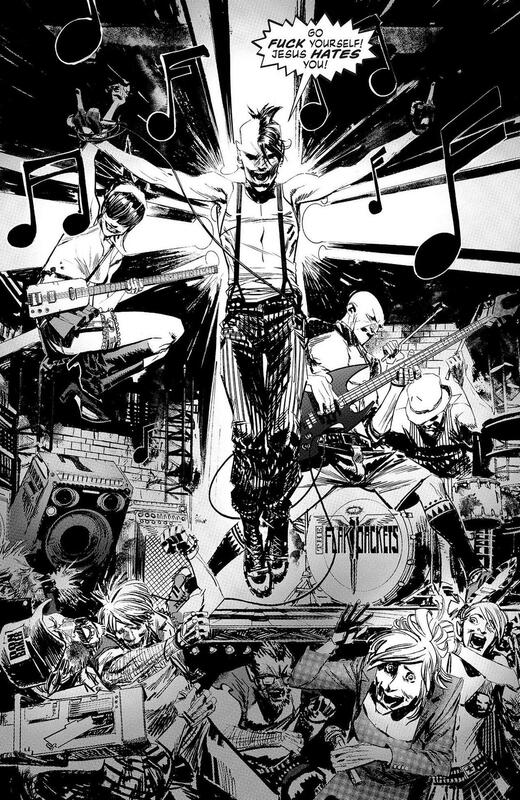 Punk Rock Jesus holds a special place in my heart as a graphic novel because of the character Chris. I grew up in the Episcopal Church and part of our religious institution was the stained glass windows. I distinctly remember the images of Christ. At the front of the church was the image of Joseph, Mary, and the infant Christ surrounded by animals, in the back was the last supper, and on the side walls were the life of Christ from the time of infancy and adolescence all the way through his death and resurrection. I remember seeing the image of Christ on the cross and to this day a question has lingered in my mind: why didn’t anyone try to get the man off of the cross? I understand it was his sense of destiny but why do we have to sacrifice the man to solidify his message? Chris was crucified from the moment he is born and therein lays the cyclical pitfall that is the life of the “savior” in our rhetoric. Chris is never given the chance to figure out who he is. He’s told and dictated what he is and wants and who he’s going to be until he escapes the system and is given the chance to make his own destiny. If Jesus came to us now, would he be able to survive the image that has occupied the vacuum he left open? Most likely no. In all likelihood he would be labeled as a hypocrite and either ignored or else violently rejected by his now disillusioned followers. The story of Chris is the story of Thomas, two young men who were denied the opportunity to make their lives their own because of the religion of their predecessors that had distinct and clear ideas concerning their fate. My final point B——, is that the greatest conflict of religion is the way it predetermines the fate of men and strips them of their agency. I really hope you get a chance to read the book. If it isn’t obvious it made an impact on me. The second is picture of my cute dog Huckleberry who got stuck under the damn pier and started this letter. Thank you for letter B—–, I hope to hear from you again soon.